We connect with the divine as we dive into our creativity. This connection can become a deep union and communion with source, feeding our soul in ways previously unimagined. In this playshop we explore consciously calling in and honoring sprit as we allow our creativity to flow. Learn to bring forth the spirit within your artwork as you give birth to your piece. Let your soul shine as you explore one of the following themes: Prayer Sticks, Talking Sticks, or Staffs. 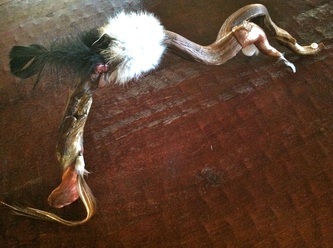 Each sacred tool acts as an antennae - directing, receiving and channeling energies. They are symbolic of our own spiritual energies and help to guide us on our personal journey's. 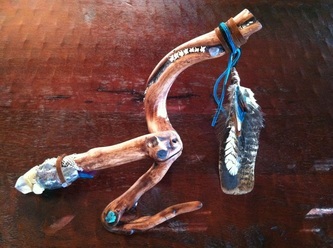 *Prayer Sticks are used while praying to help guide one's prayers to our creator. 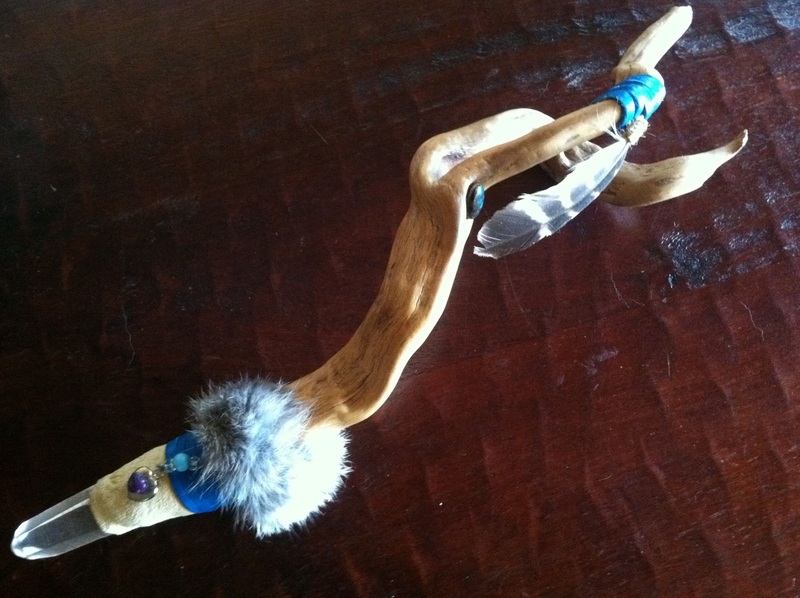 *Talking Sticks are used during discussions to make sure the person holding it is allowed to speak without interruption. *Staffs provide support in our life journeys. They are powerful tools to help activate specific energies within one's life. Private and group Sacred Creativity Playshops available. Please contact me for more information. Ask me about Private Primal Acrylic Playshops. YES, Sacred Creativity Playshops are mobile! Please contact me if you would like to schedule one in your area. There are currently no Sacred Creativity workshops scheduled. "Wow! What a surprise and such a gift! Thank you for your generosity and support in what was truly an amazing session!" "Thank you for sharing your etherial gift with me. There are no words..."
"What a truly amazing and cathartic experience you created for me with breathwork. I am amazed with the experience I will remember for a lifetime!" "What a trip I went on with you. Such a cool journey and such an amazing experience. You are very gifted and I enjoyed being in your space."